well, naturally, i make chutney. i’ve mentioned before that just can’t get enough of knitting, and wearing, scarves. i happened to be in uppsala yesterday, and i just had to sneak into yll o tyll, a wonderful yarn shop. they have lots of lovely things on display, but the thing i fell for was ta-da! a scarf. i must be in a strange phase, i don’t even like yellow! but i think this scarf will be absolutely wonderful. and alpaca is really wonderfully soft. i don’t remember how i found out about it. i don’t remember when i found out about it. but after i’d decided to sign up, there was a long and painful three month waiting. and it was worth it. 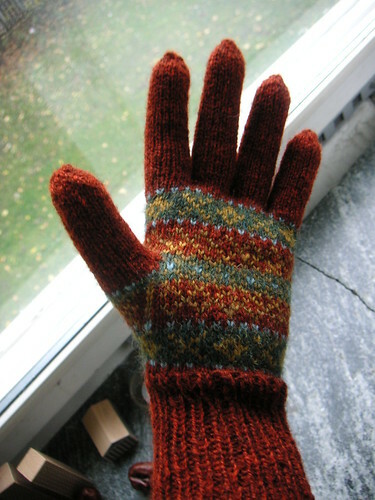 if you haven’t already; sign up to ravelry now. if you’re already there, i’d love to know about it! my user name is katarina. you might remember that i’ve promised never to join another knit-a-long (or sew-a-long) or anything resembling one. however tempting, i always mess is it up. i can never follow one, it’s almost like i jinx whatever project i’m supposed to be working on. so. i’m not joining socktober, but i do think socktober is a wonderful initiative, so to honour that i’ve cast on for a pair of log cabin socks by anne woodbury. you can find the pattern in one of my favourite knitting books: handknit holidays. if you’re interested in the socktoberfest, you can find more information on hostess lolly’s blog. there’s also a flickr group and a ravelry group. i already had a lovely blue yarn in my stash for this project. 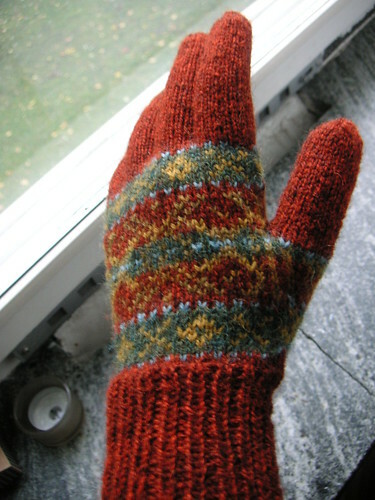 the pattern is easy to follow and it knits up very quickly. i’m using double pointed needles size 3.5 mm, but the pattern for the women’s size sock actually states 3.75 mm needles. well, i don’t have 3.75 mm, so i’m hoping 3.5 mm will be ok. i suppose i could have used 4 mm (and perhaps i should, they will be quite tight) but i really dislike socks with a loose fit, so i went for 3.5 mm in the end. but they’re fun to knit, i can easily see myself knitting several pairs of log cabin socks!